I love coats. I have a fair few....on the basis that come Autumn/Winter they become the statement pieces as on the whole it's all anyone will notice about your outfit whilst you are doing the school run. 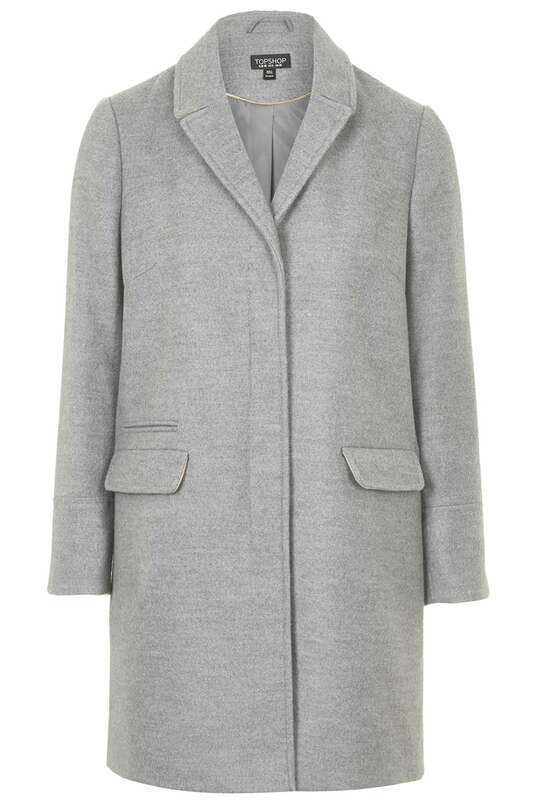 One of my favourite purchases last year was a grey coat that I bought in Topshop for a very reasonable £58. It was so versatile as it lifted many of my beloved black ensembles but it was also great over navy. 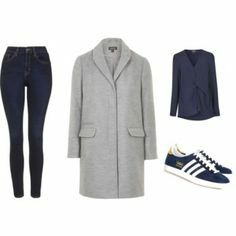 Even though it's quite a smart style it looked fab dressed down with skinnies and hi-tops, I think I could go as far as to say it's been one of my best coat purchases of all time and as luck would have it Topshop have done something almost identical again this A/W. Just proving how very versatile can be.....I've worn it 2 days on the trot! Good old toppers stock similar items this season. I found a few alternatives to the pieces I wore yesterday too! Do you have a favourite coat? Are you investing in a new coat this year.....if so what are you going for? I would love to hear your coat thoughts! It's a short and sweet one today but I shall be back shortly in more coats no doubt....the weather has most definitely taken a turn for the worse.....maybe I should be looking at waterproofs?! Some new black leather boots are on the agenda thanks to all the rain we've had these past couple of days as the trainers are just not cutting it! Be back soon to report on my findings! Still loving you in that coat Michelle, it's such a lovely shade of grey & a great classic design. It's such a classic style it will last you for years to come. I remember ordering it and it didn't look so great on me but then again I was flitting between normal and petite sizes and the 8 in the normal looked fine and I should have got it whilst I had it in my hands. Ah well. Loved your coat last year Michelle and love it even more now! It just goes to prove that if you get a classic style it lasts and keeps getting even more stylish! Oh you are definitely not alone Natalie....I also have a problem! I've whittled it down this year but I still have about a dozen coats but I've got rid of 4 this year and replace with 2 so far and I'm happy with how that area of my wardrobe is looking at the moment so I'm not looking to purchase anymore!